If you’re looking for more information about Caravans or Motorhomes, look no further. 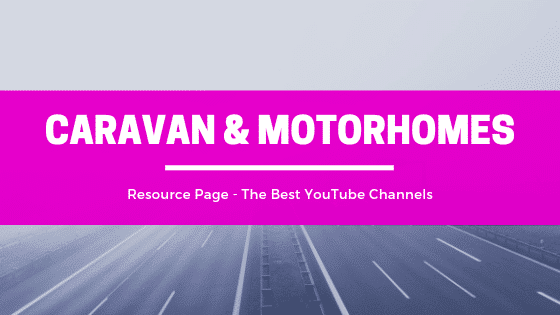 What follows is a list of some Caravan and Motorhome YouTube channels, some big, some small. They are all great channels in their own right, all offering something different from the others, so they’re all worth a look. If you don’t already subscribe to any of these channels then please do so, it’s completely free and it really helps the channel creators. Also, if you like a video, please visit the channel and give a thumbs up to the videos you like. If you see an online resource be it YouTube Channel or website blog, please let me know and I’ll add it to this page. I’ll start the ball rolling by adding one of the best I’ve managed to find. 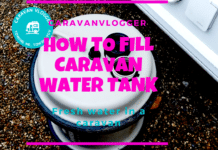 OK, OK, it’s my very own CaravanVlogger channel. Enjoy. Long weekend in lovely Longleat & Vicky’s birthday! We’ve got some exciting news!! 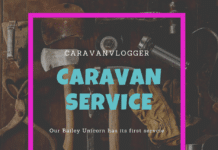 Caravan Chit Chat - What have we got planned for 2019? What happens when you buy a caravan? 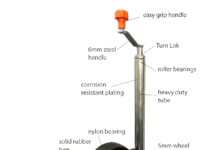 How to Install and Fit the Nemesis Ultra Caravan Wheel lock. Fixing a Crack in a Caravan Roof. 2019 Bailey Phoenix 760 Caravan - How's the Kitchen? I’ll start then > Andrew J Ditton’s YouTube/Vlog pages – an extremely useful guide for all ages abilities delivered in his unique and very inimitable style! Driving in France is my thing and although I’m not a Caravaner I can see there is a lot of useful stuff on here. PS Thanks for the follow on Twitter. This is very helpful in choosing the right rv, caravan or motorhome unique for an individual. So many research sources to look at. Thanks for sharing this.